Having to take care of business, while on the go, has never been an easy task. However, with the rise of powerful tablets, modern businessmen can pay attention to their work, no matter where they are. The iPad is particularly good at helping make a travelling businessman’s life easier. Here are 6 very handy apps for the iPad that no businessman on the go should be without. Gone are the days when you would have to carry around a USB drive just to have your files with you. Cloud storage is not a technology of the future; it is here right now and available at your fingertips. 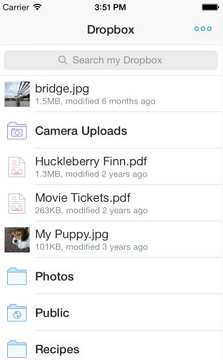 There are quite a few online storage sites that offer apps for mobile devices. However, Dropbox is the best option thanks to the fact that it is one of the few companies with an app for pretty much every OS out there. Besides, Dropbox also has the most ergonomic user interface and makes it a breeze to share folders publicly and with other Dropbox users. When the first iPad came out, many people complained that although it was a great device, it didn’t score very high on functionality or usefulness. As we know, a tablet is only as good as the apps in it, and iTunes made sure every top developer had an iPad version of their popular iPhone apps. One of the best apps to make the transition is Documents to Go. Unlike other document apps which only allow you to read, Documents to Go also allows you to create and edit Word documents, spread-sheets and slideshow presentations. 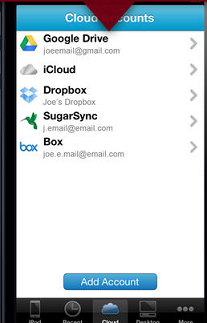 It also completely synchronizes with any cloud storage service you use, including Dropbox. No matter how many businessmen you ask what the worst part about travelling is, the answer will always be the same: creating and filling out expense reports. However, if you have an iPad, why not let the nifty gadget handle the troublesome expense reports for you. 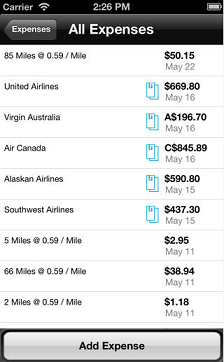 Expensify is one of the most popular finance apps on the iTunes App Store, and with good reason. The app streamlines the mundane task of filling out expense reports by syncing with your bank accounts and credit cards to keep a record of expenses. Made a cash purchase? No problem. Simply use the iPad’s camera to take a picture of the receipt and Expensify will scan and extract all relevant information from it. Whether you are using an accessory keyboard or a stylus, the iPad makes taking notes on the go a much better experience than scribbling down notes on small pieces of paper that you are bound to lose. Evernote is by far the best note-taking app out there for the iPad. Just like Dropbox, part of its popularity is down to the fact that it is available for pretty much every platform you can think of. Online synchronization across devices means that you always have access to your notes, no matter where you are. 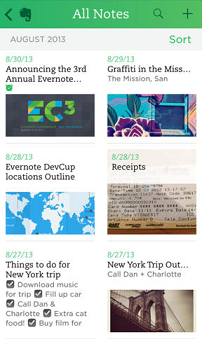 Evernote also allows you to record and add voice notes, as well as lets you share your notes via Twitter and Facebook. I can’t remember the last place I was where I didn’t have access to a Wi-Fi network. In many cities, even downtown areas and public transportation facilities have free Wi-Fi services that anyone can access. So, why waste your mobile minutes when you can easily use a VoIP service to make calls. Your office probably has its own VoIP business lines to help reduce costs and even you can do the same for yourself. Skype has been at the forefront of VoIP services for personal use and it is no surprise that their iOS app is one of the most downloaded. Simply hook up a Bluetooth earphone to your iPad and use Skye for all your calls, including talking to international clients at ridiculously low rates. You cannot go to any convention or trade fair without being flooded by countless business cards. Can you imagine going through them all, sorting them out and then entering all the contact information into your device? A nightmare if there ever was one. 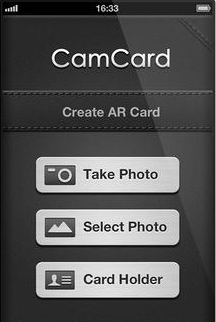 CamCard is a business card scanner and reader and is designed to make your life a bit easier. 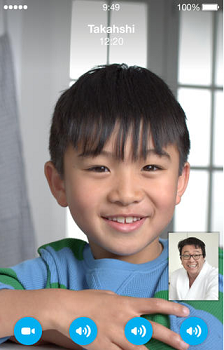 Simply use the camera to scan a business card and CamCard will retrieve all relevant information from it. This information is added to your contact list and synchronized across all your devices with an Apple ID. These useful apps will help any traveling businessman get the most productivity out of their iPad. This article is authored by Jenna Fernandes, a customer service representative at VoIP Superstore, leading providers and installers of business phone systems. Jenna is very creative and dedicates time to canvas painting on weekends.